It has only been a few hours since we saw official announcement of Xperia Z1C aka Xperia Z1 Compact from Sony at CES 2014 event, the first ever true mini smartphone with a high end hardware and software inbuilt unlike other OEMs which were compromising on hardware very much. 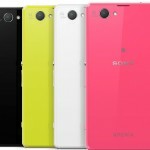 Sony Xperia Z1C aka Xperia Z1 Compact features 4.3″ 720p IPS Panel with Triluminos display, Snapdragon 800 SoC with Adreno 330 GPU and 20.7 MP Sony “G” Lens rear cam exactly what it’s elder sibling Xperia Z1 features. It will be available online and in stores in February 2014. Just now we spotted many retailers have started taking pre-orders of Xperia Z1C aka Xperia Z1 Compact and shipping starts on 31st Jan 2014, one such retailer in UK is Phone4U. 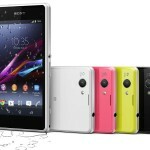 Phones4U has put all available 4 colors of Xperia Z1C aka Xperia Z1 Compact for pre-order with a very tempting offer. 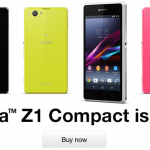 At present Xperia Z1C aka Xperia Z1 Compact is only available under carrier based contract device from Phones4U. As per the listing on Phones4U, Xperia Z1C aka Xperia Z1 Compact is available under contract with Vodafone, UK and Orange carriers with phone bearing no cost. 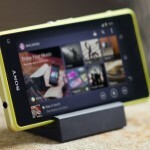 Ordering Xperia Z1C aka Xperia Z1 Compact from Phones4U in UK will fetch you complimentary free Sony wireless speaker SRS-BTX300 worth £119 and upto £65 of movies and music. 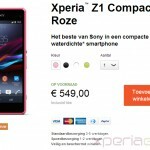 If you are looking for unlocked Xperia Z1C aka Xperia Z1 Compact in UK it will be priced around £440 and listing may go live in early February 2014 as per sources so if you want it now pre-order your Xperia Z1C now. 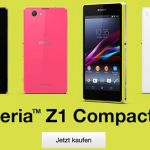 We will soon put the listing of Sony Xperia Z1C aka Xperia Z1 Compact price as per different regions. 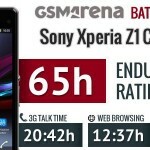 Xperia Z1C aka Xperia Z1 Compact is the best ever mini smartphone world has ever seen till now, what do you think of ? Are you going to buy it. Do let us know your views on it.